Which among the following cities of India will have mid-day Sun exactly overhead only a year? Srinagar and Darjeeling have mid-day Sun exactly overhead only once a year. Insolation (from Latin insolare, to expose to the sun) is the total amount of solar radiation energy received on a given surface area during a given time. It is also called solar irradiation and expressed as "hourly irradiation" if recorded during an hour or "daily irradiation" if recorded during a day. Earth and its atmosphere absorbs about 64% of the insolation. Land and water surfaces of Earth absorbs 51% of this insolation. Ozone, carbon dioxide and water vapour directly absorb the remaining 13% These gases absorb the insolation at certain waelengths. Ozone absorbs only a small percentage of the insolation. The most important absorption occurs with carbon dioxide and water vapour, which absorb strongly over a broader wavelength band. According to the United Nations geographical region classification, Southern Asia comprises the countries of Afghanistan, Bangladesh, Bhutan, India, the Maldives, Nepal, Pakistan and Sri Lanka. Confirmation of the presence of Higgs Boson justify both the standard model and superstring theory. The Higgs Boson (or Higgs particle) is a particle that gives mass to other particles. Peter Higgs was the first person to think of it, and the particle was found in March 2013. It is part of the Standard Model in physics, which means it is found everywhere. Which one among the following African countries is not landlocked? A Landlocked Country is a country entirely enclosed by land, or whose only coastlines lie on closed seas. 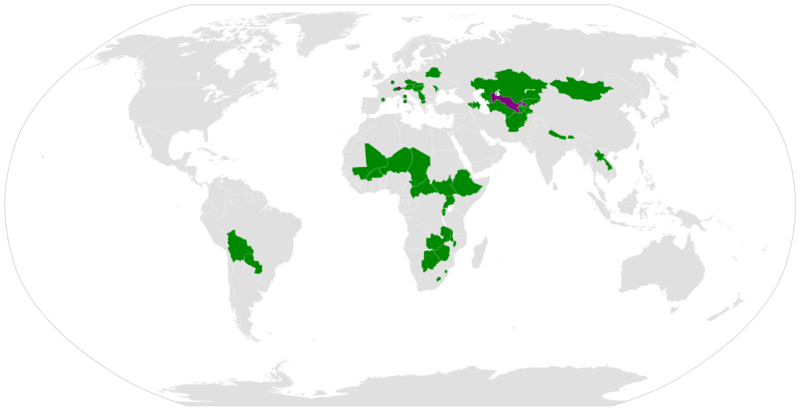 There are 48 landlocked countries in the world. Angola is not a landlocked country. No landlocked countries are found on the continents of North-America, Australia and Antarctica.